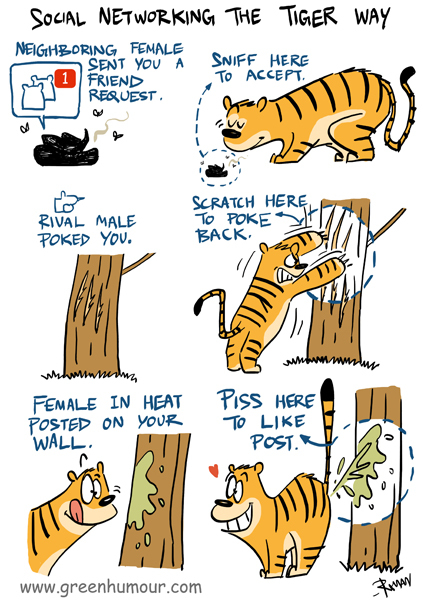 Here's a peek at the secret social life of the otherwise solitary tiger, and the various tweets, shares, likes and pokes it uses to locate buddies, chicks and foes. Happy World Tiger Day! Available as A3/ A4 prints. E-mail me to order your copies.